It's time for another week of Retro Sketches! Today's sketch is based on one of my cards that you can see here. It makes for a CAS card for sure! I am also sad to say, this is my last week at Retro Sketches. I have been with Arielle since the 2nd week or so of this amazing challenge and I am so sad to go! Thank you Arielle, for having me and for being so sweet all these years! So glad we are friends! 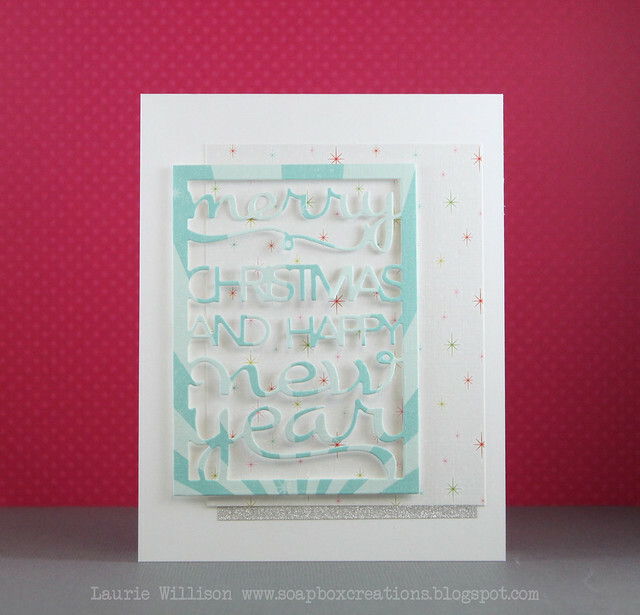 I used a new die from Papertrey Ink. This die will be available in just a couple of days! I love the fun font and how it makes an easy card. 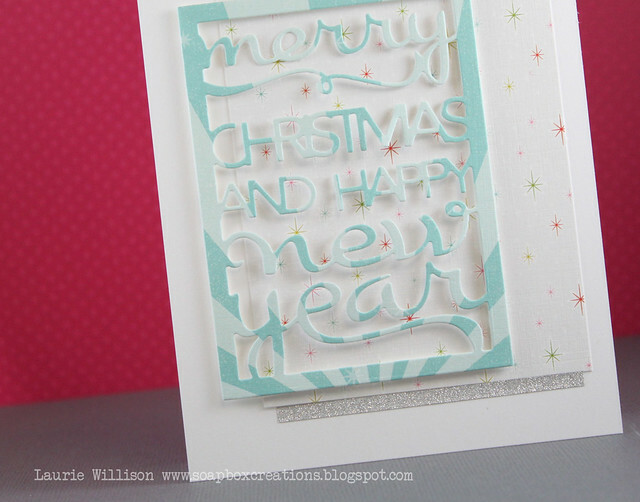 I layered it with some of the new Sparkle and Shine patterned paper....also available soon! :) I added in a strip of silver sparkle washi tape at the bottom for some shine! Here is this week's sketch..
Stop over to the Retro Sketches blog to see what the other girls have made up for today! Thank you again for stopping by each week and for leaving such sweet comments! I hope you can play along this week! Have a great day! So sad to see you leave Retro Sketches Laurie, you always inspired me with your take on the sketches. This card is NO EXCEPTION...love it! Fabulous, Laurie... I'll be following wherever you go! Laurie you have been such an inspiration at RetroSketches and will be missed! 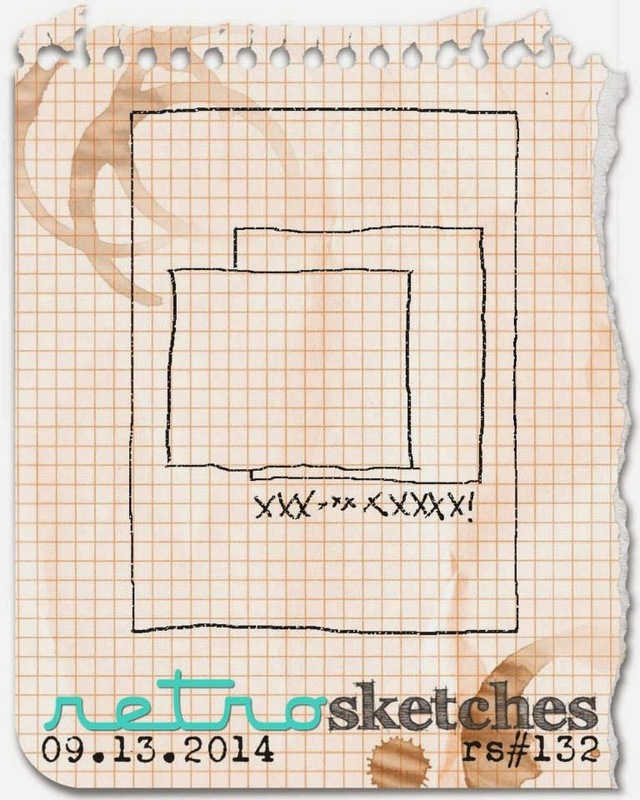 You have such an amazing way of CASifying and simplifying the sketches! such a pretty card! We'll miss your RS inspiration!